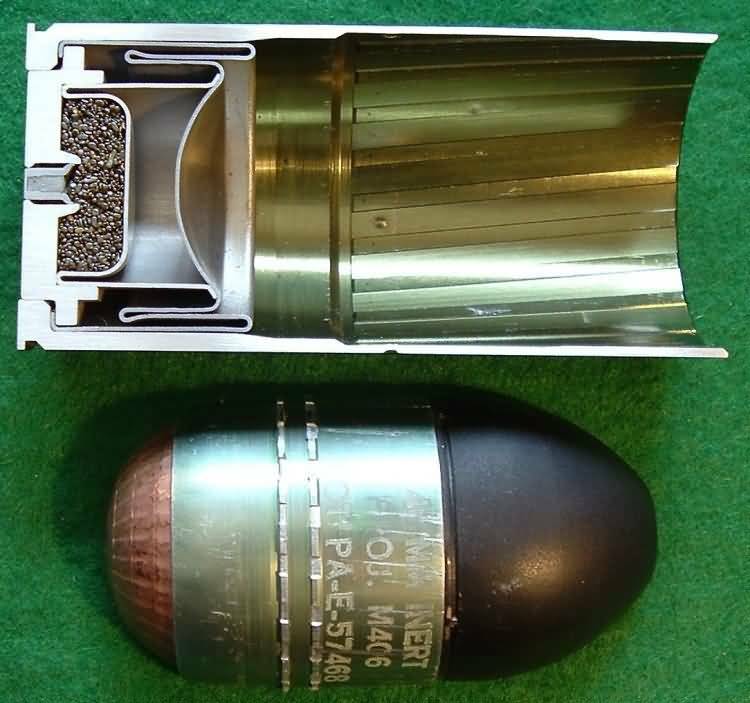 The DBCATA (Disposable Barrel and Case Area Target Ammunition) grenade was developed by AAI during the SPIW Program. The SPIW program required both a ‘point’ and ‘area’ target approach. This was to be accomplished with a flechette for the point targets and grenade for area targets. The combination of these two systems with the weight restrictions and pushing of the technological boundaries made for an unworkable system. 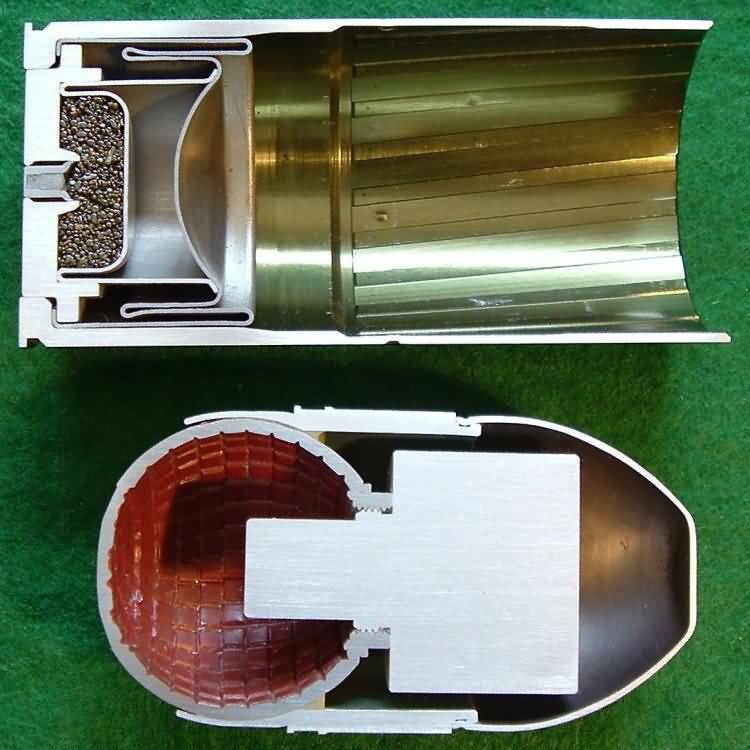 AAI developed this round to overcome some of the weight issues by developing ammunition whose case also acted as the chamber and barrel – a complicated and somewhat expensive piece of aluminum forming. Additionally, the use of a bellows to trap the propelling gasses also resulted in a very quiet and flashless projectile launch. The projectile was the standard M406 grenade, albeit pre-rifled. 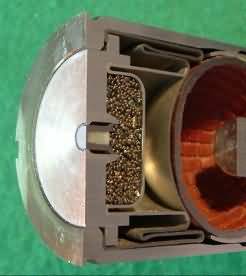 The projectile illustrated is an inert type with solid 1-piece aluminum fuze. Note the use of the piston primer – this is the same primer used in the XM645 flechette round! References: R. Blake Stevens and Edward C. Ezell, The SPIW. The Deadliest Weapon that Never Was, Collector Grade Publications Inc., 1985, pp. 82-84.